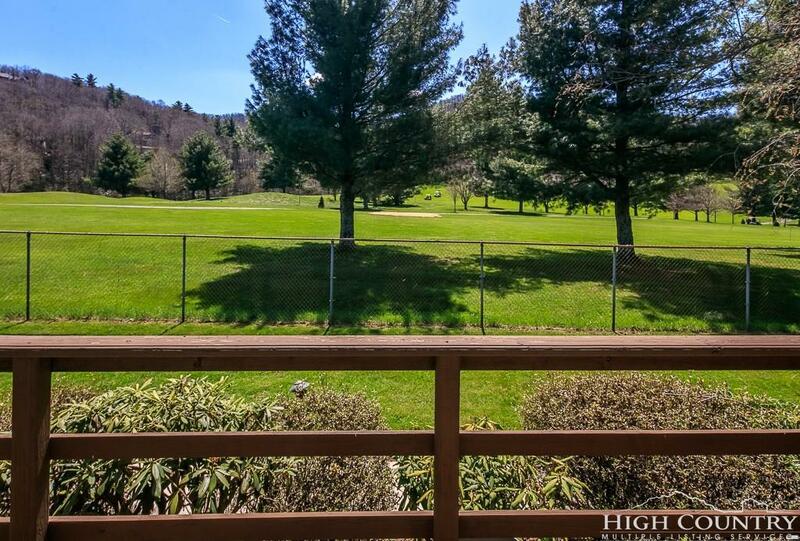 Super Sweet Town Home in Boone with VIEWS DIRECTLY ONTO Boone Public Golf Course. 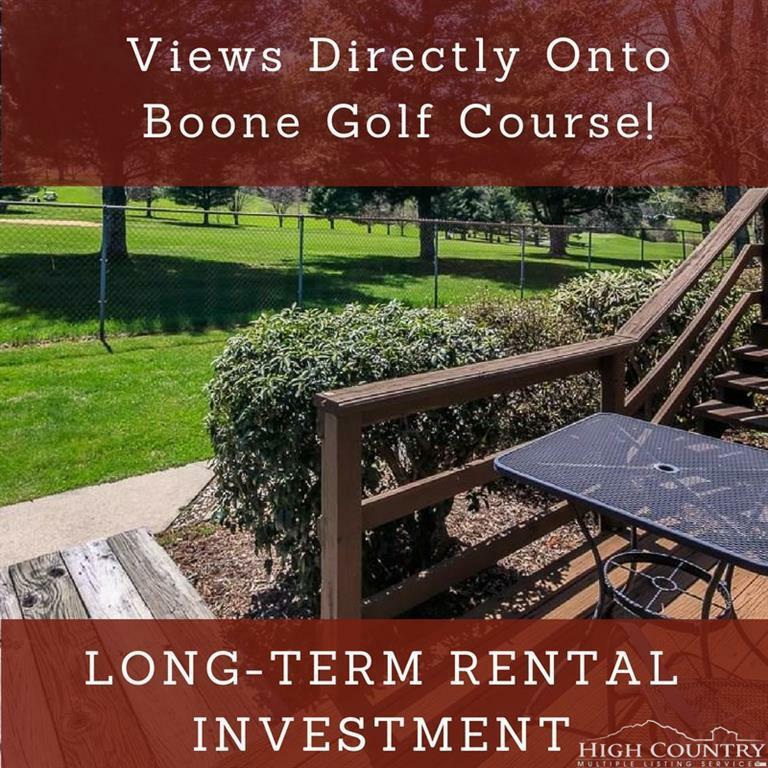 Great location with EASY ACCESS very near Watauga Medical Center + Convenient to the Town of Boone. This desirable Corner-End-Unit has a grassy common area right beside this Town Home. Vaulted Ceilings in 17 x 13 Great Room Living and Huge 18 x 12 Master Suite - BOTH HAVE Celestial Windows high above !!! Lots of Closets for storage. Huge 12 x 27 Oversized Garage. Many amenities + features include Plantation Shutters, Updated Kitchen, BAMBOO WOOD FLOORING in Great Room + Half Bath, Exterior of Building + Grounds are taken care of by the community, the Garage or portion of the garage could potentially be remodeled into an additional living area, Covered Walkway from Garage to Home, Large Open Deck off Living, Large Open Deck off Master Suite, Dining Area in Great Room with shallow bay window, 2 Closet Areas in Master Suite, Additional Closet off Master, Closet off Great Room, 8 x 6 Laundry off Master, 8 x 7 Master Bath with Tile Flooring, DBL sinks + tub shower. TENANT OCCUPIED, NO PREVIEWS, 24 HOUR APPT. 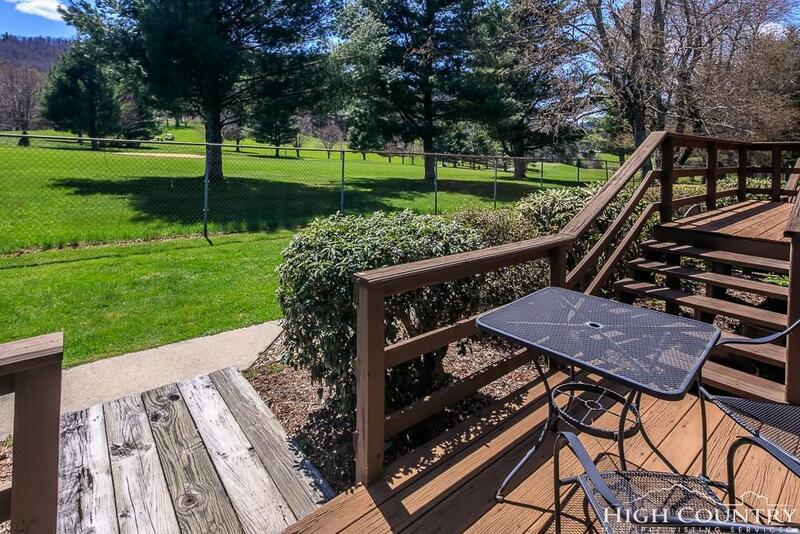 NEEDED - RENTED FOR $800 MONTH THRU DEC. 2019. Tenant will NOT move out. ESA Dog in the home. 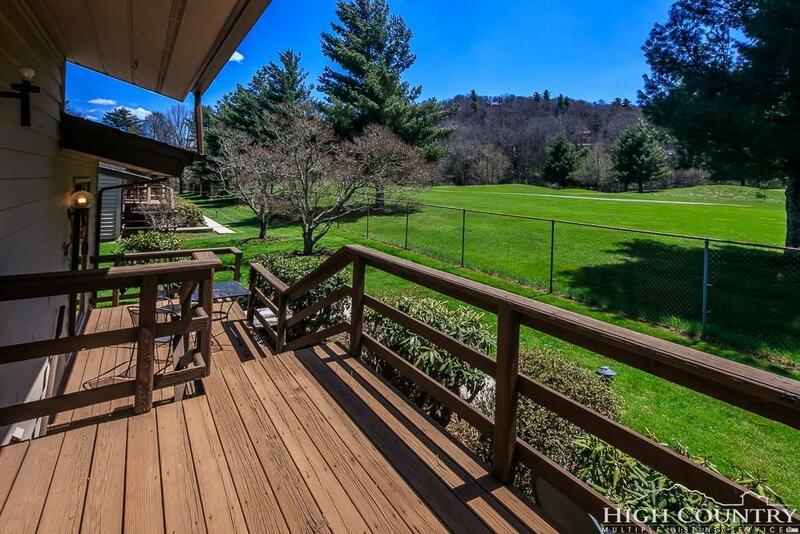 Listing provided courtesy of Michael Parkinson of Keller Williams High Country Realty.